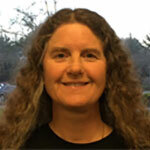 Angie Steele has worked at UCSC for 21 years and is also an alum of the UCSC Jack Baskin School of Engineering. She is currently the IT Manager for the Film and Digital Media Department. 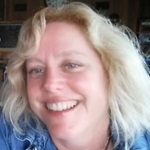 As IT Manager, Angie is responsible for all IT related services in Film and Digital Media; from application development, post-production support, business system development, compliance, classroom technology integration, to specialized computing facility design. She is currently finishing the design and production of the campus' first stop-motion animation lab. Teresa Silva has worked at UCSC since 1994. For the last 10 years, she has worked in the Applications and Project Management group in ITS. 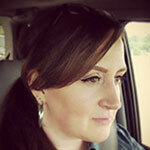 She is currently a Project Manager and also manages the Cascade Server training and support program for the campus. Teresa was on the UCCSC at UCSC organizing team in 2007. Lisa Bono has worked at UCSC for 16 years. She is the ITS Communication Manager and the Google Apps Service Manager for the campus. She also manages the online Campus Directory and the campus emergency notification system, CruzAlert. Lisa was on the UCCSC at UCSC organizing team in 2007. 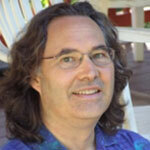 Bruce Horn has worked at UCSC for 20 years and was a UCSC Film and Technical Theater student in 1977. As Classrooms Operations Manager, Bruce is in charge of general assignment classroom media and computing equipment, distance education and test scoring facilities. He also provides media support for campus events, train faculty on best uses of instructional technology and researches new technologies that might be useful for teaching and learning. Bruce was on the UCCSC at UCSC organizing team in 2007. 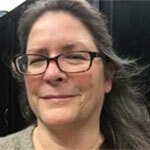 Leslie Kern is the Operations Manager of the Faculty Instructional Technology Center (FITC) at UCSC. The FITC provides faculty with computer labs, media production facilities, flexible learning spaces, and support for instructional design and technologies. She has been with UCSC for 1 year. Laurie Carnahan has worked at UCSC for 12 years. She has had various positions in ITS ranging from network administration and application administration, to business analysis and project management. Some of her clients include Housing, Dining, Career Center, Recreation, and Student Services. Laurie is currently supporting other campus departments including the Police Department. 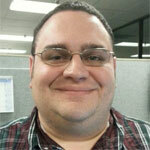 Eric Woelfel has worked for the Desktop Management and Software(DMS) group within ITS for 4 years. He attended UCSC as a transfer student and started working for the campus after he graduated. Eric works on application and security patching via managed support for computers on campus. When he's not at work he's either surfing, trail running, or mountain biking. 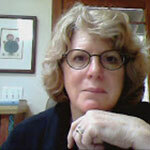 Carol Jordan has worked at UCSC since 2011. She is the Data Center Manager. Her teams provides the campus with server administration for Windows and Unix servers, as well as physical, virtual, and cloud hosting services for administrative and academic computing. 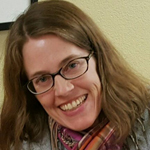 Hilary Hamm has been working at UCSC since 2001 as Software License Coordinator and campus UC/TAS rep (Technology Acquisition Support). She provides support for all things software on campus, helping faculty, staff and students get what they need. Hilary was on the UCCSC at UCSC organizing team in 2007. 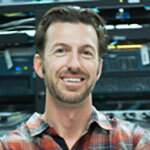 Dan Simpkins has worked at UCSC for 10 years. He is an Analyst in ITS' Budget and Resource Management group, where he oversees the operational budgets for three ITS units. Troy Wright has worked at UCSC for 10 years. He originally worked on the Identity Management team to help modernize identity, authentication, and authorization services. Today, he works as a Unix Systems Administrator providing programming and server administration for ITS managed systems. 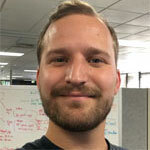 He is also a Google Apps Administrator and a member of various service teams across ITS. 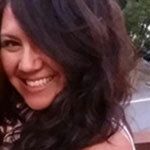 Liz Soto is an Accounts Coordinator in the ITS Client Services and Security organization. Liz has worked at UCSC for 25 years in various roles, including Accounting/BAS and PBSCi Business Office. 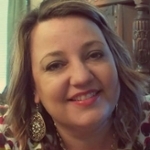 She provides account and identity management support for Faculty, Staff and Students. Jim Phillips is the Director of Learning Technologies and IT Accessibility Officer for Information Technology Services.